It was my first wedding over at Easterbrook in Dumfries. It’s the university grounds and a spectacular wedding venue that really should’t be overlooked if you are over in the west of the country. There’s a hotel, a stunning church which allows any faith or non-faith ceremonies and the magnificent Easterbrook Hall for your reception. 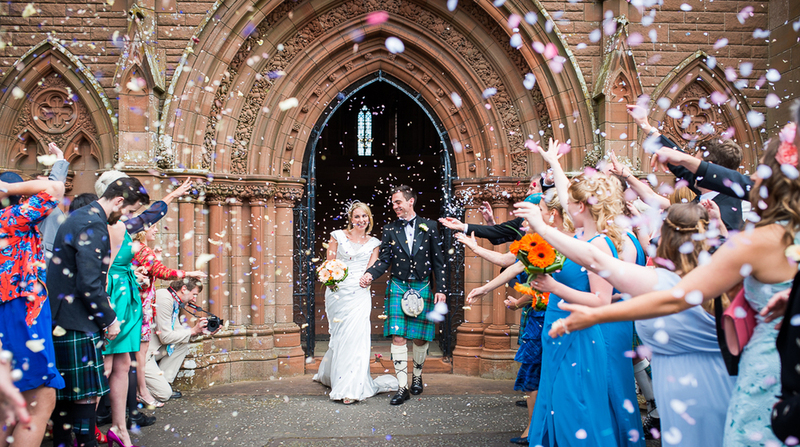 It was a gorgeous summer day in Dumfries for Fiona and Andrew’s wedding. I had spend a day with Fiona and Andrew on an extra special engagement shoot a few weeks earlier, revisiting the proposal spot as well as a few other places they had spent time together. They are both really great. We got on so well and I knew this wedding would be a little bit special. The families on the day were fantastic too, despite me constantly getting Andrew’s dad’s name wrong. Oops! Everyone was so chilled and relaxed on the day. It was perfect from start to finish. The couple, the weather, the location and the guests all made this one of my my fave weddings of the year! A special mention must go to the Band, Corra. They were amazing! best band I've heard at a wedding so far....Superb! Thank you guys, I really mean that!